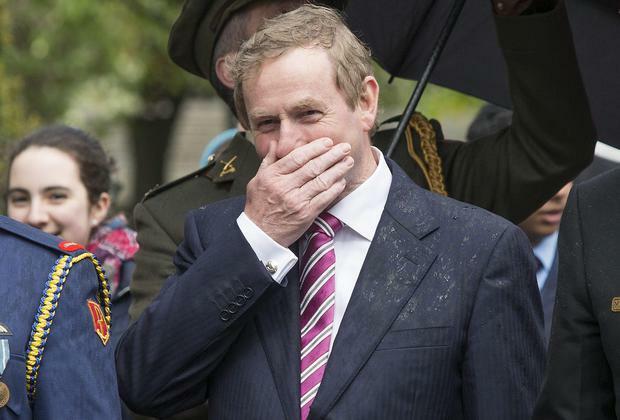 THE outgoing Taoiseach is well-known for telling stories but the veracity of them often don’t stand-up. Kevin Doyle looks back on some of his best hits. The man has never come forward to give his version of events. Mr Kenny landed himself in a lot hot water after telling a European People’s Party conference in Madrid that Irish people might be capable of raiding banks as the recession hit. He told the meeting the then governor of the Central Bank Patrick Honohan had told him “It looks like this weekend... you’ll have to put the Army around the banks and around the ATM machines, and introduce capital controls like they had in Cyprus”. Mr Honohan refused to back up the Taoiseach’s version of events and eventually his spokesperson admitted their was no “specific” mention of such measures. When Budget Day tax cuts kicked in early 2015 Mr Kenny claimed workers thought they were being overpaid when they got their first pay packet of the year. “It was great to see some people contacting us, saying, ‘Well, I’m not sure whether it was a mistake or not, but I seem to have got extra money in this last payment’. We want to continue that,” he said. When pressed, a spokesman later said Mr Kenny was not in fact contacted by people but had used a “turn of phrase” in his comments. 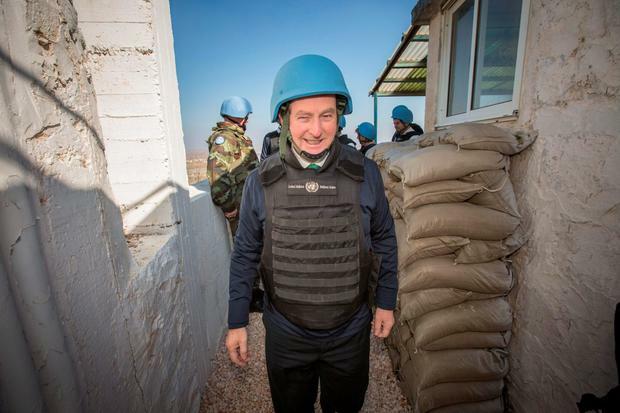 On a few occasions Mr Kenny has recalled how as a schoolteacher in Mayo he use to hang back after class and shoot rats. “I waited in the evening there one time and I took half the pellets out of the cartridge and I just waited for ‘my friends’ to arrive and I blew them into oblivion. I got three or four. They got their own back because you smell the things in the floor for months afterwards,” he said. The Dáil was gripped by Mr Kenny in 2005 as he told a story of how he was held at knife-point during a mugging. While he attacking the Government over law and order, he told the Dail of being confronted by two attackers "high on drugs" who pulled a knife from a scabbard in a bid to rob him. Mr Kenny said he would always remember the rasping of the blade as it was drawn from its sheath. It later emerged that the particular incident had occurred during a holiday to Kenya. A Fine Gael poster campaign at the time was altered to read "I'll make criminals pay for their crimes - in Kenya." This one left Mr Kenny particularly red-faced. He wrongly claimed at the annual Beal na mBlath ceremony in Cork that Michael Collins had brought Soviet leader Vladimir Lenin to Ireland. He referred to the former finance minister as "the outstanding organiser who brought Lenin himself to Ireland to see how the National Loan worked". Historians were quick to point out that there was no record of the communist firebrand, who died in 1924, ever travelling from Russia to Ireland. A spokesman for Mr Kenny admitted his script contained an inaccurate reference. "It mistakenly stated that Lenin came to Ireland but should have stated that it brought Lenin's attention to Ireland to see how the National Loan worked," he said. Over the recessionary years a number of government ministers landed themselves in trouble by speculating on the reasons for the growth in emigration. Mr Kenny recounted his personal chat with an emigrant in November 2013.“I met a young man in Waterford the other day who went to Australia, worked for 14 months doing two and three jobs when he could, came back with €100,000 and set up his own business, and he was very happy to do so. It was his choice to earn money where he could, do two or three jobs where he could get them and come back with that,” he said. The story didn’t go down well with the parents of Ireland who had seen tens of thousands of sons and daughter forced abroad for work. During his St Patrick’s Day trip to meet Donald Trump earlier this year, Mr Kenny proudly boasted about Ireland’s economic recovery. On more than one occasion he told audiences that while things were on the up there was just no pleasing the people of Cork. “In fact I was recently accused in Cork of being responsible for clogging up the roads with people going to work which is, I suppose, a challenge of success,” he said. On the rack and faced with the prospect of having to resign Children’s Minister Katherine Zappone hung the Taoiseach out to dry earlier this year during a fraught period over the Government’s handling of Garda whistleblower Maurice McCabe’s case. While Ms Zappone was on holiday in the US, Mr Kenny went on radio to claim that he knew all about her meetings with Mr McCabe. “Minister Zappone is doing a very good job, did tell me that she intended to meet with Sergeant McCabe in a private capacity and that's all I knew.I said to her well if you do have a meeting make sure that you have a thorough account of it and so when we had our meeting on Tuesday I wouldn't have been aware of any of the details of her discussions with..."